I have a hayward super pump. Model K48M2N111 The pump is 4 years old and it just stopped working while running. No noise, no click sound.. The power is still on as I also have a pool light which comes on. Is there a fuse or someting i can check? Please advise how to access the same. WHERE CAN I BUY THE MOTOR CAPACITOR FOR THE HAYWARD SUPER PUMP ? Do you have the #’s from the capacitor? I have a 9 year old in ground pool with a Hayward Super Pump SP 1 1/2 hp. It’s making a lot of noise this season (screaming). Is it worth trying to replace the motor bearings? 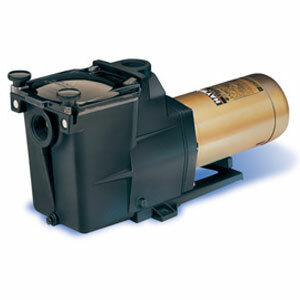 Compare that it a new motor which is around $234 or a new pump which is over $300. Changing bearings is not as easy as suggested by Joseph. Not thinking, I purchased new bearings ($40) and a shaft seal ($20) last weekend to replace my seriously noisy and overheating bearings. When I took the pump apart, the first thing that happened was that 3 of the through bolt heads snapped as I tried to loosen them. In addition to this, you need special tools (harmonic puller, arbor press) to properly remove and install the bearings. Finally, parts of the shaft were seriously rusted and would have to be ground smooth to install the bearings. In the end, I decided it wasn’t worth the trouble and bought a replacement motor for $200. While I used the shaft seal anyway, buying the bearings was a waste. Ihave a Hayward super pump 1hp. The motor does not turn. Can I repair this or do I have to buy new motor. There is power to motor. I have a Hayward pump 1/2 hp. It’s 4 years old and has always worked great. This year it seems to keep loosing its pumping power. If I shut it off, back wash the filter and start it up again it works fine for about 30 min. Thanks. Can you tell me a bit more. After you back wash and then run it, How does it stop working? Does it just loose pressure and need to be back washed again? 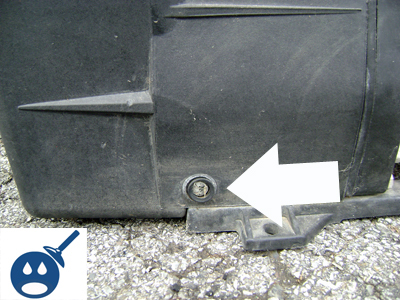 BTW – Have you checked for suction leaks? Let it dry out for a while like for 48 hours…. We have the one hp pump bought last year. It will run/prime for less than a minute and shut off. Please advise possible solutions. Have you made sure the water level in the pool is the correct height? Do you think the pump is sucking in air? I have a Hayward Super Pump II and it looses suction every so often. I can’t go away and think it will be OK because I have to check it daily. I use it for a koi pond and some days it’s too much of a pump and other days it’s struggles. I have cleaned inside the propeller but have not changed any parts. Any sugestions? All seals are tight and I have replaced the rubber washers at the connections of the plumbing hoses. Hi my Hayward pump is leaking water from the bottom i had the repair man there he changed the seal. but its still leaking do you have any suggestions what else it can be. My Hayward Super Pump is 10 years old. This summer it started humming for a few seconds before it starts pumping. The first thing I check is to make sure the impeller isn’t jammed (and this is not the problem). Sometimes it only hums and trips the breaker, but if I keep trying, it will eventually start up again. Today I have not been able to re-start it at all. What do you think is wrong with it? I know it is old, but is it possible (or worthwhile) to repait it? This morning I had exactly the same problem with my pump and figured that 10 years old might not be worth repairing it. I ordered a new pump and motor from Amazon for about $318 and will arrive tomorrow. With hot days it doe not take too long before the water goes bad and algae starts to grow. Hello all, I have a 1 1/2hp Super Pump and I am in the same situation as Bob above. My pump runs fine for about 10 minutes then it basically loses all flow. The pump still runs…….but there is no water movement. It is an older pump (over 10 yrs). When I change the mutliport to the “recirculate” feature…….it pumps like crazy……no problems. Now the tricky part is……it loses its power whether there is DE in the filter or not. By the way, my filter is only 2 years old and I maintain it regularly. In fact, prior to this year’s start-up (a few days ago) I completely disassembled the filter….took out the element and completely washed it down. So there was absolutely nothing in it. And I still had the same problem. Could it be the multiport?? The filter?? Is the pump just too old to maintain power. It does get ridiculously hot to the touch on the case and remains steaming hot for at least 1-2 hours after it’s been shut down. Is it an overheating issue? Hello. 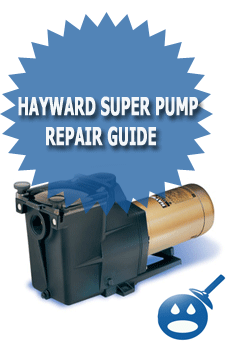 We have an older Hayward Super Pump 2h.p. Motor model C48M2N11-1. We have to replace our existing one (1h.p) with this one. We cannot read the wiring diagram. Husband has electrical experience- can you help with the wiring diagram/info? I went to turn my filter on and it just makes a buzzing noise.It worked fine yesterday. any suggestions ? 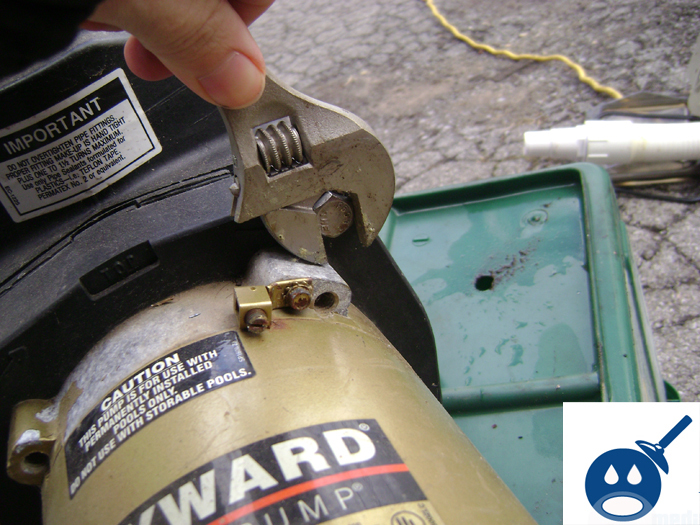 Remove the 4 bolts that connect the motor to the pump and pull the motor away from the pump/housing. Take note of how the impeller parts come out so ou know how to put it back (its fairly simple, just be aware). Try to rotate the motor by hand (try both directions) to free it up. You can try to breifly turn on the pump (watch your fingers!) with it disconnected from the housing to see it it will spin now. This worked for me when I tried to start it for the first time this season. Mine would just humm and then throw the breaker. After I did the procedure above, mine has been working trouble free. Hope this helps. I just installed a brand new Haywood Super II 1 hp inground pool pump to replace my 2 year old sta-rite that died. I used all the same fittings, teflon taped all plugs, the pumped primed and runs no problem. But there is a lot of air circulating under the pump basket cover. When I shut the pump off no water comes out anywhere. It looks like its bubbling from inside the pump not the suction intake. I am going crazy trying to fix this. Any help would be appreciated.